Going with a tribal makeup theme is a fantastic choice, as it can be used and displayed in numerous social situations, and produces and an amazing look that can be expressed in a variety of ways, depending on what you're trying to produce and the reasoning behind it. For example, some tribal makeup themes could easily be identified as ethnic, which for many people may or may not be what they think of when imagining a tribal look. In other words, ethnicity may be tribal in a certain location, but not one known outside of that particular region, and so would be unfamiliar to most people. Others think of tribal more of a design theme than an ethnic expression. In that regard, makeup is applied in similar fashion as someone that may have what would be identified as a tribal tattoo design. 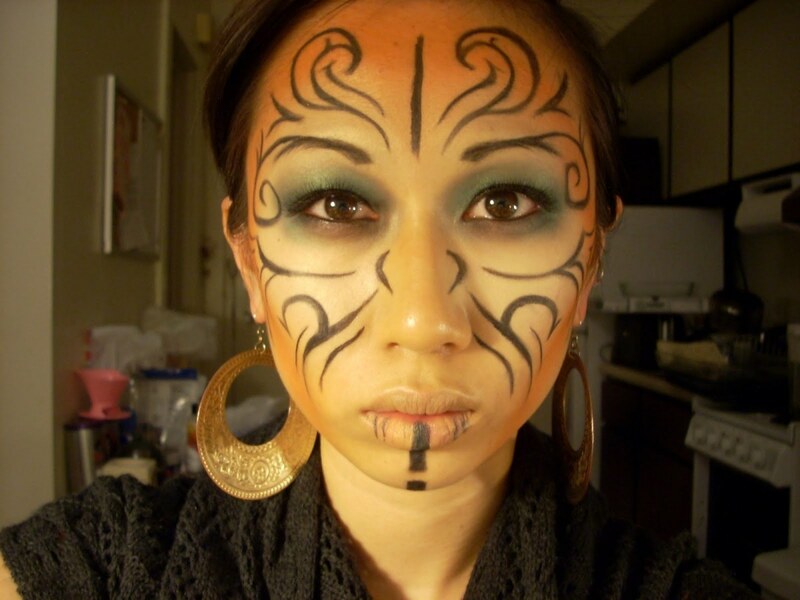 Tribal makeup designs are totally based upon a specific purpose. Like most makeup decisions, the result will be determined by whether you're implementing the look to look cool when you go out, or whether you're going to use it at a Halloween party as part of your costume, which usually is called a mask. Other parties would also be appropriate places for the tribal makeup look, as would cosplay events. 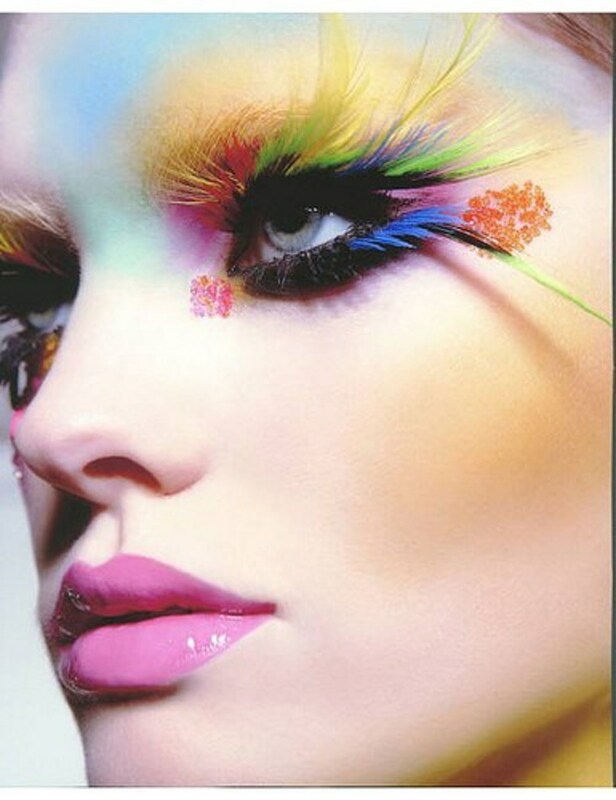 Tribal makeup is all about theme and making a statement. And the makeup designs follow whatever that purpose may be. As for ethnicity, it could be part of the celebration of a day related to a specific culture, going beyond simply being a costume party look. Whether for celebrations, costume parties, or surprising someone when you're going out, tribal looks are an amazing choice that will leave people breathless and stunned when done correctly. 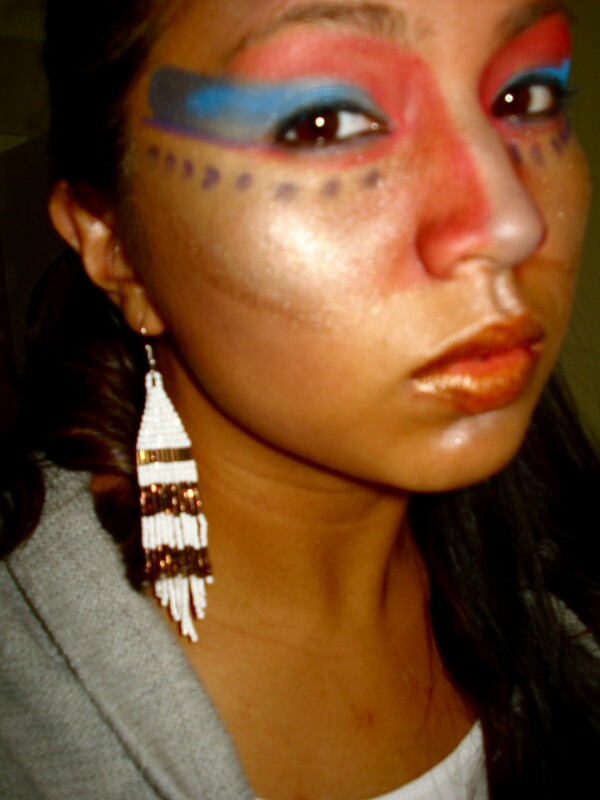 This article will show a variety of tribal looks, including tribal makeup video tutorials on how to get the job done. I wanted to show this tribal makeup design first, as it's an example of the tribal design mentioned earlier that is very popular among tribal tattoo enthusiasts. This is more of a neutral tribal look that points to a general theme rather than a specific culture or idea. Being a fan of tribal tattoo art, I find this to be a fantastic look; one that has gorgeous lines and swirls so associated with this specific part of the genre. It's also different in that it focuses mostly on the larger parts of the face, creating a look that then allows the eyes to appear to stand out. Very nice looking. Another interesting thing that could be done if you want to use a look like this is to incorporate some temporary tribal tattoos, placing them on your arms, neck, or another area to complement the face. This assumes you don't already have some permanent tribal ink on your body. Below the first photo is a great example of using the tribal design theme on one side of the body. It's always a good idea, especially in party situations, to add that extra design to other parts of the body, as it can be considered a costume in and of itself; along with tribal makeup on the face of course. This is a really good looking tribal look, using a minimalist but very creative use of white as the only color used in the design. There are three different elements to the design. First the obvious two thick lines going down the side of the face; the makeup style used on the eyes themselves; and finally those very cool, white dots which really finish of the nice look. Including the white on the arm and neck were also nice additions to the overall tribal theme. While I called this particular trible makeup look simple, it's anything but that in the sense of how it flows together. The simplicity is in the ease of creating the look because of the type so lines used in the design. But taken together, it is a beautiful result, which is a good one to use as a model for ourselves, even if the we choose to only take the elements an create our own unique look. Now we'll have fun looking at a wide variety of tribal makeup looks with these video tutorials, which will show you how to use the tools you have to create some awesome looks. The whole point of the video tutorials, as the photos included, is to help generate some ideas for you so you can create your own unique tribal look. But if you're not real creative, there's also nothing wrong with taking the look you prefer and make yourself up in that way. Or you could enlist the help of a friend to do it for you. Either way, when you're done looking at the photos and tutorials, you shouldn't have any problem coming up with ideas of your own, or in choosing a particular tribal look you want to emulate. One thing to consider when doing a tribal makeup look is to include the dots you've seen throughout this article, and as shown again below. Those dots, and some of the other design elements are important in identifying what it is you're trying to do or be for the night. If the women below hadn't included the dots, it would have been hard to know what she was trying to portray with on the red and blue around the nose and eyes. 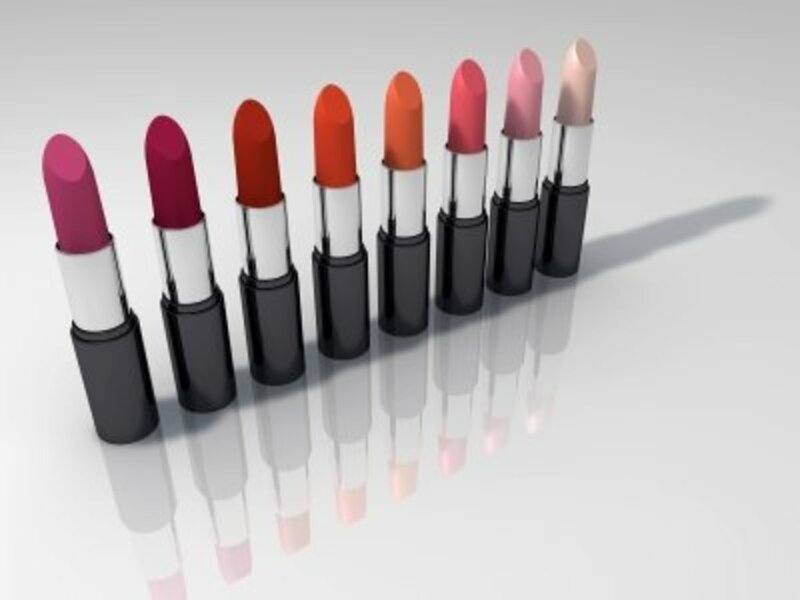 Because tribal is always a statement being made, no matter the reason behind wanting to do it, it's vital to let your makeup tell everyone that it's a tribal look you're sporting. Dots in a line are one simple but effective way of doing that. Here's another example of how using the line of dots tells everyone you're displaying a tribal look, even with the extreme Gothic look displayed below. 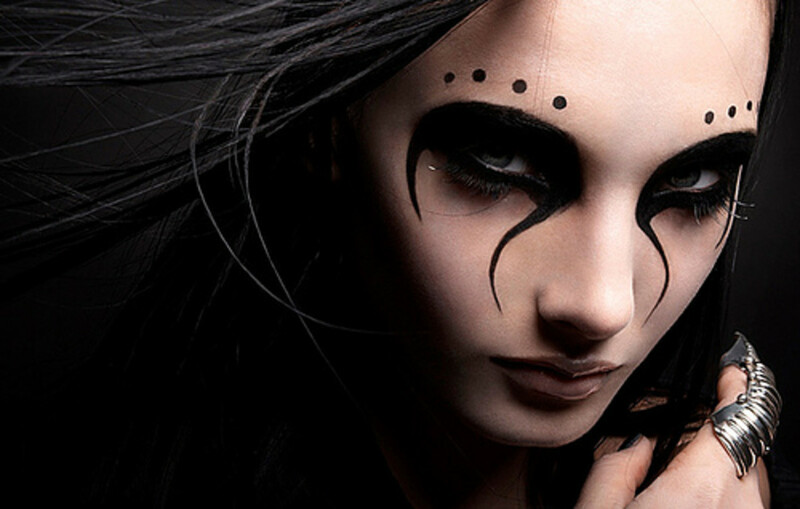 Using the elements of Goth, like the black, bleeding eyes, is a very compelling and creative idea, especially when adding the tribal dots to generate a totally different look than most people would expect. 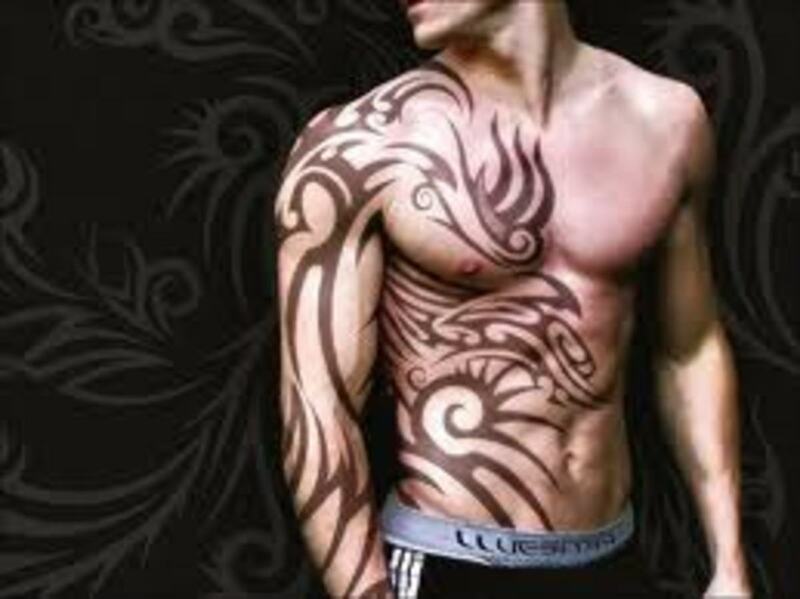 As mentioned earlier, hopefully this will stir up some ideas for you so you can create your own tribal look. So with that in mind, either find some design ideas here in the photos or videos, or search for other image that will create the desired look if you're having trouble coming up with one. Notice with all of these ladies that they use dark liner around the eyes. It looks great and definitely helps set the stage for the overall tribal facial image. Another interesting practice is that most of them have a very different look with their lips, suggesting there is a lot of creativity and leeway with that part of the face concerning the tribal design for the face. 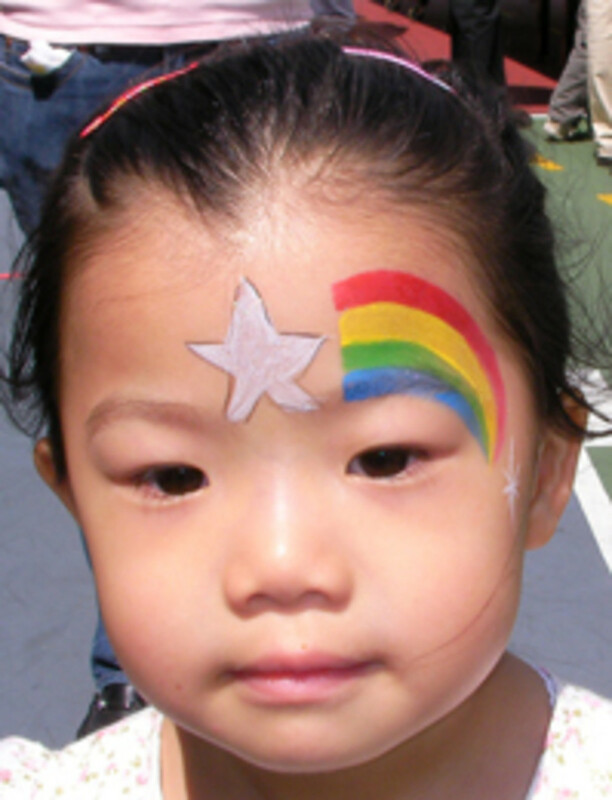 Also consider other thing like rhinestones and glitter as possible elements you use to create the look. Tribal makeup is a lot of fun, and the looks that can be created are unique because many of the lines, dots and figures used are different than most other makeup designs. 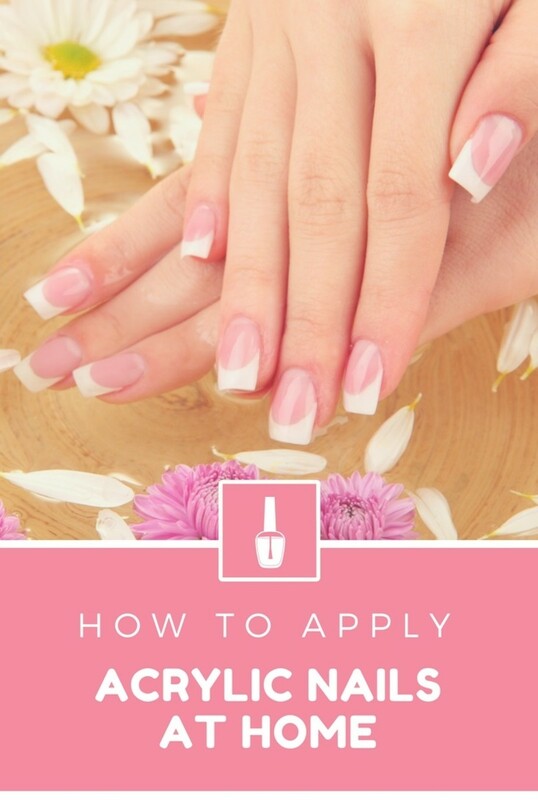 That means you're going to stand out wonderfully in the social setting you're going to enter into, and that's always a great thing, and the reason ladies create fun things with their makeup. No matter if it's a unique setting for a date or gathering, or if it's a Halloween or other type of costume party, creating a tribal look using your makeup is a wonderful choice, as it makes a powerful statement which also reinforces the inner strength you have.